While all of our furniture is available for purchase from us online, we welcome you to come visit us at Stonehurst. A historic property in Vernon, Vermont, Stonehurst is now our fine furniture showroom and store. Only ten minutes from Brattleboro and a few hours car ride from Burlington, Boston and NYC, Stonehurst is an easy trip from most places in the northeast. 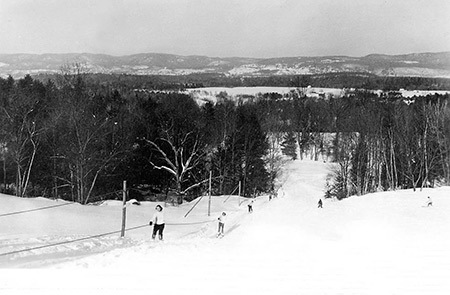 Stonehurst has always been a special place, from a farm to a boarding house, then to a local ski area. 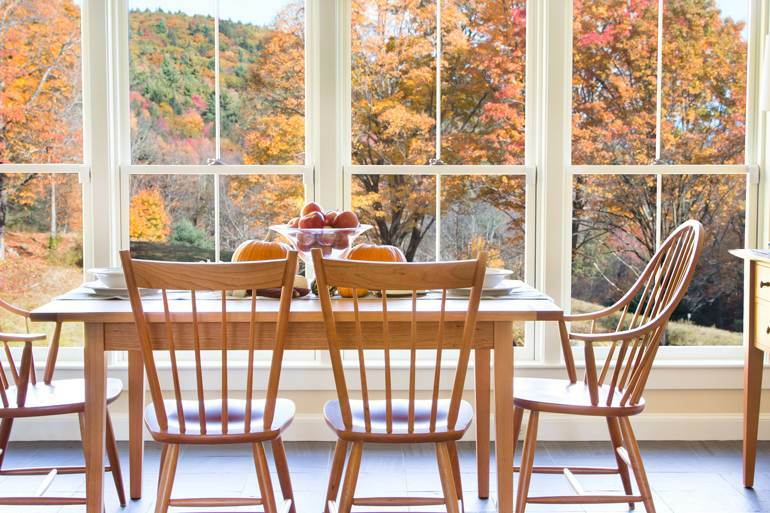 Stonehurst is now home to some of the finest furniture Vermont has to offer. Nestled in the wood on 109 acres of meadows and forest, visiting our showroom is not your typical furniture buying experience. We like to think of Stonehurst as a destination shopping experience. Feel free to bring a bottle of wine and a picnic lunch and enjoy a relaxed country atmosphere while you get to know our furniture. We know buying fine wood furniture is a big investment and we want you to feel as comfortable as possible making a decision that shouldn’t be rushed. Our sales team are experts in fine wood furniture, so even if you aren’t ready to purchase, we’d love for you to stop by and chat. At Stonehurst, we don’t have aisles and mazes of furniture. The pieces we carry are just a representative sampling of the hundreds of pieces we offer here online. When you see the furniture, you’ll know it’s a true reflection of the quality and craftsmanship that you can expect with all our handmade furniture. And, did you know that Vermont is also known for its talented artisans? We carry a variety of interior decor and artisan pieces in celebration of Vermont’s history of fine artistry and craftsmanship. We understand that designing your home doesn’t end at the hardwood furniture. Whether you’re ready to be inspired or ready to purchase we invite you to take a close look at our collections. Enjoy our property as well as all the great things Vermont has to offer. Shopping at Stonehurst brings you closer to where your furniture really comes from. Visit us, then take some time to explore the area. We think you’ll find it worth the drive. Within any Vermont city or town you will be sure to find plenty of one of a kind shops, galleries, and boutiques. Some with whimsical home décor, others with an eclectic array of antiques, unique gifts, or books old and new. The small Vermont shops have a charm not to be found anywhere else, and the always friendly merchants welcome your visit. Vermont is also an exciting destination for foodies! Being a leader in the farm to table movement, there’s hundreds of amazing culinary destinations for your choosing. If you’re looking for something fresh and delicious to take back home with you, travel a bit of the cheese trail, hit up a farmers market, and be sure to stop in one of Vermont’s many country stores for that special Vermont treat! Vermont has more microbreweries per capita than any state in the country, so needless to say, there’s plenty to do (and taste!) for the beer lover. Vermont prides itself on some of the best craft beer in the nation, including heady topper, long trail, McNeils, and a many others! Not to worry, wine lovers, Vermont also has several awesome local wineries and distilleries! If you’re the outdoor active type, you’re in luck because Vermont is an outdoor lover’s playground! Vermont is world famous for its skiing and golf, as well as hiking, biking, and paddling sports. Home to the Green Mountain National forest, spanning over 416,000 acres spread throughout southwestern and southern Vermont. The many state parks create additional untouched, natural land areas and offer numerous recreational activities. Vermont is often considered a “driving state,” with hundreds of miles of scenic back roads for exploring. Not to mention the always spectacular Vermont foliage, rolling green hills, and meandering rivers and streams. Don’t forget to bring your camera!